For any NBA player, the offseason after winning their first championship has got to be the best summer of their career/life. For Kevin Durant, it was a lot more than that. He finally got the monkey off his back when he clinched his first championship in the Golden State Warriors' comfortable 4-1 win over the Cleveland Cavaliers in the 2017 Finals. More importantly, Durant wasn't riding his teammates to his first chip. He was their leader, the team's biggest contributor, sometimes on both ends of the floor. Over the five-game series, he averaged 35.2 points, 8.2 rebounds, 5.4 assists and 1.6 blocks on 55.6% shooting from the field in 39.7 minutes. The outstanding numbers earned him his career's first Finals MVP trophy. Durant had silenced his haters and proved his haters wrong. All he had to do now was sit back, lay low and spend the summer completing his various off-court business ventures. However, things haven't gone according to plan with the 2014 league MVP making the news for all the wrong reasons. 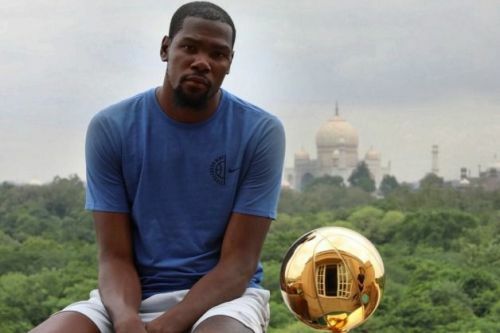 In the last few days of July, Durant made the long flight down to India for three days, joining the list of past superstars like Kevin Garnett, Dwight Howard and Chris Bosh to have made the long trip. 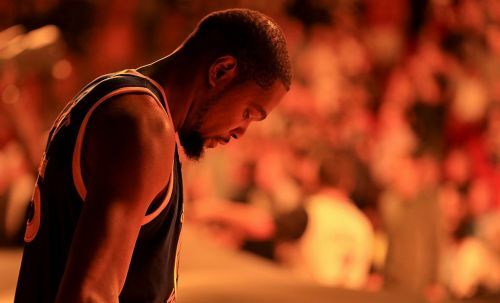 A fan of the sport himself, Durant promoted the sport of basketball in the country by actively participating in practice sessions with the kids at newly opened NBA Academy and teaching drills to a record-breaking crowd at a Jr. NBA event. Ten days after the trip, in an exclusive interview with the Athletic's Anthony Slater, Durant spoke his mind about everything - the 2017 Finals, his decision to take a pay-cut, his India trip and much more. While most of it went on as any other usual interview, his answers on the questions regarding India not only stood out but made a lot of noise. The noise might have been only on this side of the Pacific but it did lead to an apology from the 8-time All-Star within 24 hours of the interview. It's a pity his initial answers in the interview weren't as well worded as his apology.